Finland and Korea are distant and - one might think - dissimilar countries. Perhaps it’s surprising then to discover that a new cultural exchange project is currently opening up connections between professional dance specialists. The Korea-Finland Connection project is finding interesting parallels between the dance scenes in the two countries and nurturing new partnerships. 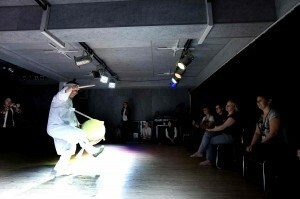 The Korea Arts Management Service (KAMS) launched the KAMS Connection project in 2010, setting up international exchange programmes with Finland, the UK and the USA, aiming to create a system of long-term, mutual cooperation between Korean and international performing arts organisations. In Finland the partnership is with Dance Info Finland and TAIVEX. The partners first selected seven dance specialists in each country and put them in touch online. The Finnish group visited Korea in October 2010. KAMS organised an intensive 9-day programme of performances, visits, talks and workshops, intersecting with the PAMS Performing Arts Market in Seoul. A return visit to Finland is planned for summer 2011. Euna Im (EI) - KAMS: We try to introduce the Nordic performing art scene, which is an unfamiliar area to the Korea performing arts field. Also, we aim to lay a good foundation for incubating international collaborative projects through an in-depth exchange programme between Korean and Finnish dance specialists. Pirjetta Mulari (PM) – Dance Info Finland: As arts markets have shifted from pure promotion into networking and exchanging ideas, Korea-Finland Connection aims to build long-term relationships and projects between arts organisations and artists. JS: How does this exchange project fit into your organisation’s international programme? EI: KAMS tries to go beyond the limitations of simply exchanging work between Korea and overseas countries, and tries to develop a long-term collaborative working relationship. PM: In our experience, international co-operation takes time to flourish. It needs a lot of discussions, personal connections and relevant contacts. Here, the time factor has been taken into account by giving professionals time to get to know each other. JS: What were your impressions of the performing arts scene from the producers visit? EI: KAMS has been impressed that an organisation like Dance Info Finland actively organises programmes for domestic and international exchange. We could feel the energy of the visiting Finnish dance specialists and they made us eager for additional programmes to help us improve our understanding of Finland’s performing arts. PM: Through the visit we found many similarities between the Koreans and the Finnish: in many ways our history and development into technological societies have many things in common. We saw some excellent works by Korean choreographers and dance companies – the overall impression of the Korean dance scene was positive, lively, diverse, and really draws from its traditions. The nurturing of tradition is something that we could learn in the western world. JS: Why did you decide to participate in the Korea-Finland Connection project? Kirsi Mustalahti (KM) – Tirakkor Group: My ambition and aim was to exchange ideas and networking with international theatre managers, event managers and to get to know how accessibility is taking place in the world. Outi Järvinen (OJ) – Zodiak Center for New Dance: It gave us an opportunity to create links with Korean dance organisations and artists, and to get a perspective on the Asian scene in general. We want to keep our eyes and ears open to new ideas. Janne Ikäheimo (JI) - Nomadi Productions: Dialogue between cultures is crucial nowadays, also to increase your understanding of yourself. In a global world culture, there are still specific ways of communicating, as in dance, and it is always interesting to hold up a mirror to your own ways of doing things. Collaborative projects can be more fruitful for artists than touring. 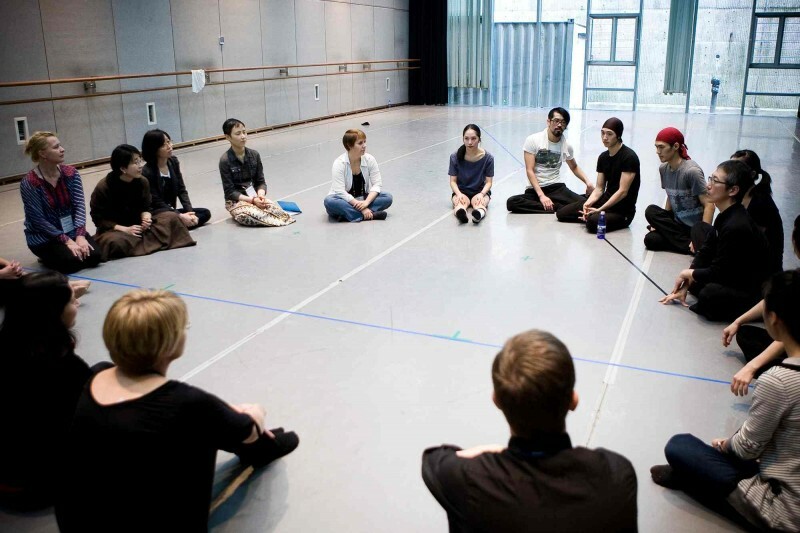 Kyung Ae Roh (KAR) – Trust Dance Company: When Finnish performing arts specialists visited Trust studio, it offered us diverse ways of introducing our work. This time helped Trust build the possibility of further collaboration with Finnish organisations. JS: What were your impressions of the performing arts scene in Korea? Riitta Aittokallio (RA) – Glims & Gloms Dance Company: The Korean performing arts scene is very versatile. There is so much to see. They really know how to mix the past and the present interestingly. But they also have the courage to turn their backs on that rich history and create something totally new. One thing is similar to European dance field: many outstanding performances are being made by small companies and as everywhere they are struggling hard to find finance. KM: I'm more than happy to get to know Korean culture deeper and their thoughts about life and art. My group is working towards a new type of dramatic expression and looking for international partners with whom we could stage joint linguistic and cultural productions in four languages. I see a similar intensity on stage with Korean performing arts and I believe this is a good starting point. OJ: The dance scene of Korea seems to have strong influences both from Korean traditional dance and art, and from Western contemporary dance based on American and Central-European traditions. What struck me as most interesting were artists who define their own contemporary dance – how they interpret their own being in time and place. There were many similarities between the dance scenes of Korea and Finland. But one notable difference is the significance of universities there and the vast numbers of well-trained, university educated dancers in Korea. JS: What were your impressions of the Finnish dance scene? Kwangryul Jang (KRJ) – IPAP International Performing Arts Project: Finland’s dance scene is very active, alive and positively dynamic in international relations. My impression is that the Finnish dance scene is very open to many kinds of exchange collaboration. Sungsoo Ahn – Sungsoo Ahn Pickup Group: Sincerity, maturity and efficiency. JS: Are you developing any collaborative projects as a result of the connections made in Korea? RA: We are performing this year in a Korean festival and will give a workshop there. We are also looking for the possibility of a long-term cooperation. KM: There are some good cooperation ideas growing and I will go back to Seoul this spring to deepen the connection. It is important first to get to know each other and each other’s culture and, when confidence and a shared mindset are “born” it is possible to create something together. OJ: Zodiak is dedicated to producing challenging and innovative works, to nurture the creative process and provide a creative environment for artists and audiences. We look for partners who share our visions and goals to develop collaborations on a long-term basis. Many interesting discussions were started as a result of the connections – the future remains to be written. KAR: Trust exchanged some ideas with Zodiak and Tirakkor-Group for collaborative projects. We couldn't get any grants for them for now. But Trust wishes to make the project in the future. KRJ: We are developing a collaboration work between a Korean dance company (NOW) and a Finnish dance company (alpo aaltokoski). It will be performed at Busan International Dance Festival in Korea and also tour Finland in 2011.